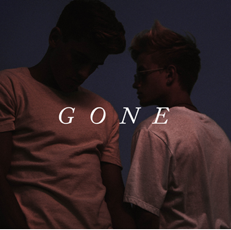 “Gone” is the name of the debut Island Records EP by the pop duo Jack & Jack (Jack Johnson and Jack Gilinsky). Thanks for your time! What are some words you would use to describe 2017 so far? How differently did you approach this year? I would say exhilarating because there is a lot of new stuff going on in terms of music. It’s all very exciting and new. Yeah, I think exhilarating encompasses everything that’s happening. What have been some highlights of this year so far? Getting new music out was definitely a highlight. Everything around the “GONE” EP and seeing fans reactions to it. And the pop up tour, that was a highlight. Looking back on how you two decided to form this band, what do you think first made you think you could do this and make music together? I think it was the fans. When we first started to put out 6 seconds looping covers on Vine, they started asking us to make originals. The comments they would leave gave us the confidence to do this. We owe this all to them. How did you two first meet each other? We met on the first day of Kindergarten and have been best friends ever since. What other band names were you considering? Indoor Recess. We had some of our funniest memories happen during indoor recess when we were younger. You know when you couldn’t go outside because it was cold? Kids would do funny things like try and pick locks. We actually put out our first song with that name. We thought it was really cool, but fans were confused whether it was the song name or our band name. We changed it so now it’s a song called Indoor Recess by Jack & Jack. We knew that was it. Jack & Jack. 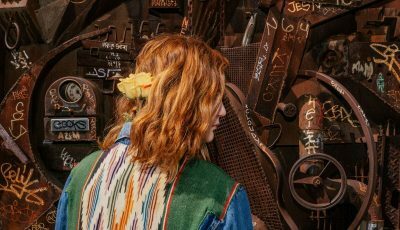 Let’s talk about your recently released debut Island Records EP, “Gone.” Where did the inspiration for this collection come from? Did anything surprise you about putting it together? Inspiration would be our past relationships and current relationships, but also relationships and people around us. We actually had 30 to 40 songs done and then eventually we found that a group of them fit together. The 3 songs in the middle were the first songs that we realized fit and then the first song and the last song really pulled it together. Not really a surprise, but we just thought it was cool how it came together conceptually when that wasn’t our original intention. It just was surprising how much of a story that these songs all told when it wasnt the intent. Did anything surprise you about the process about making an EP? How long did it all take? What was it like working with such impressive producers like Timbaland? We made some of these songs a year and a half ago before the idea of an EP came along. It didn’t take us a year and a half, but that’s when it started. Once we had the idea, it came together probably in about 2 months. It was awesome working with Timbaland. We really soaked up a lot of information from him. Being with a legend like that really inspires us and its cool that our relationship with him came together so organically. We were independent at the time and didn’t meet him through any connections. He really liked the music and that was inspiring to us that a legend like that felt that way about our music. What was it like seeing the EP hit the Top 10 iTunes Pop Chart in over 15 territories? That was so awesome, I think anybody would be super jazzed about that. I don’t even really know how to answer, it was just really dope. It was cool seeing that our fans were still there after not having put out content for a while. It meant a lot of both of us. 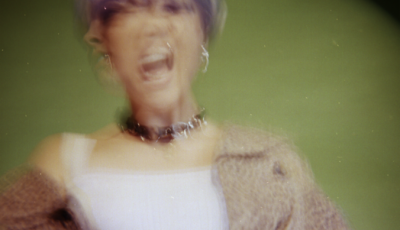 How creatively involved were you with the making of the five interconnected music videos for “Gone”? It all stemmed from our initial idea. 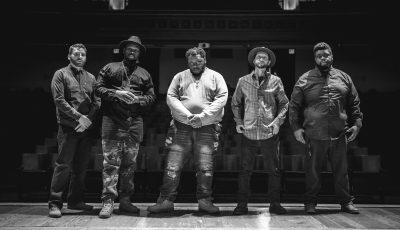 We wanted to make this long form video and we came up with the idea of shooting it in Nebraska and having the cast and crew be from there as well. We just feel that there’s so much untapped talent in Nebraska. We went to our manager with this idea and he hooked us up with this amazing director Emil Nava. He took our concept and formulated it into what it is. We shared the same vision and it made shooting the video amazing. So yeah, I would say we were very much a part of the creative process. What was it like making them? It was honestly the best week of this year that we’ve had. Every day we were up early and hanging out with everyone that was working on this project whether it was eating a meal or filming. It was such a good vibe being in our home state of Nebraska and it made it even better that everyone was from there as well. The energy was so good and we realized how beautiful everything was going to be. Everyone really wanted to make this a masterpiece and we truly believe that it is. How do you think the music on “Gone” is different or similar to anything else you have worked on together? I think its similar in a way that its always going to be Jack & Jack. It still sounds like us and it’s the same vibe, but at the same time it’s so different. Its more mature sonically and who we are and want to be as artists versus our personalities that are on social media. Obviously, it naturally came together because we are who we are. Who are you two listening to these days? What artists have continued to inspire you and your music? Ok so this guy named Anderson .Paak we love a lot. Everything he touches is phenomenal. Roy Woods and PartyNextDoor are people we also love. This guy named Daniel Caesar from Canada is also amazing, he makes really soulful R&B music. Someone we would love to work with is Jimmy Iovine. Maybe not necessarily in the studio, but in general he would be amazing to work with. In the studio definitely this guy named Kaytranada. From an artist perspective, Anderson .Paak is also someone that we would love to work with on a song. I would say every song has a unique, but general message. We hope that universally they take away to stay positive, be yourself and always have a smile on your face. I know that’s who are fans know who we are and what we want. So yeah, stay positive! I would just say keep an eye out for new music. There is stuff coming way sooner than people are expecting it to. Also, expect to see us in your city! An Interview With The Fast-Rising Singer-Songwriter, LAUV!